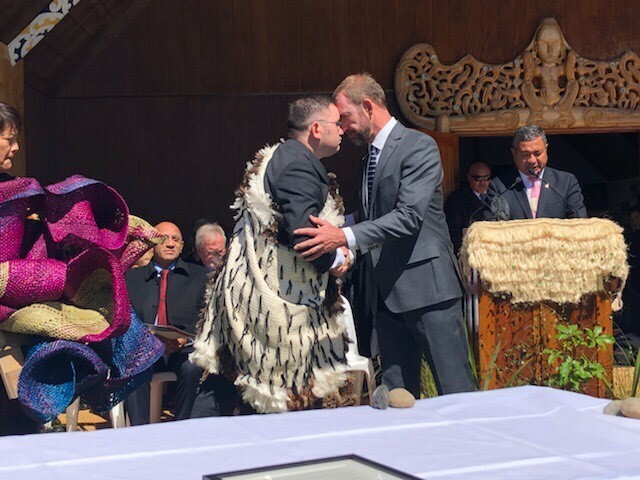 The Crown has signed a deed of settlement with Ngāti Rangi, settling the historical Treaty of Waitangi claims of Ngāti Rangi, the Minister for Treaty of Waitangi Negotiations Andrew Little has announced today. Friends and whānau gathered at an emotional deed signing ceremony at Raketepauma Marae in the Ruapehu District today. “Today is significant for the people of Ngāti Rangi, and for all of New Zealand. I would like to acknowledge the enormous amount of work that has been achieved by the Central North Island tangata whenua and the government to get us to this point. “Ngāti Rangi say that they have always been a friend of the Crown. Through this settlement the Crown aims to rebuild its relationship with Ngāti Rangi, and reinforce that it is based on mutual respect and honour. “The Ngāti Rangi deed of settlement outlines a range of redress to be provided to the iwi, including a Crown acknowledgement and apology, cultural redress including a statutory recognition and governance arrangements for the Whangaehu River, and financial and commercial redress with a total value of $17 million. “Ngāti Rangi is one of the iwi that will take part in the collective negotiations over Tongariro National Park, due to commence later this year. “Legislation to enact the deed will be introduced to Parliament later this year,” says Andrew Little. Cultural redress includes special recognition of the connection between Ngāti Rangi, other local iwi, and Te Waiū o Te Ika (the Whangaehu River) and a new framework for governance over the river and its catchment. Defence Force land at Waiouru will be vested in Ngāti Rangi who will then gift it back to the Crown for the people of New Zealand. Ngāti Rangi gifting to the Crown a contemporary harakeke piece by Keita Tuhi and Kia Tomoana representing the vibrant colours of Ruapehu and the sky, Raketepauma Marae, 10 March 2018.